Nawada: In yet another incident of bad mouthing Congress President Sonia Gandhi, BJP MP Ashwini Kumar Choubey described her as the demonic mythical character ‘Putana’ and called Rahul Gandhi a parrot. He also attacked Bihar Chief Minister Nitish Kumar and RJD President Lalu Prasad saying they have aligned with Gandhi not knowing that they would die being poisoned by ‘Putana’. ‘Putana’, considered as foster-mother of Lord Krishna, was sent by Kamsa to poison Krishna. 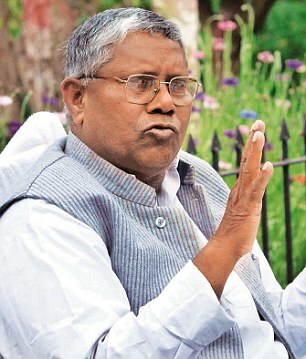 The former minister in Bihar and current BJP Lok Sabha member from Buxar dubbed the Congress Vice President as ‘totta’ (parrot) who has been uttering against BJP on the basis of script written by others after remaining silent during 10 years of UPA rule. Choubey’s offensive comments were akin to the racial remarks of party colleague and Union minister of state Giriraj Singh against the Congress President at Hajipur last April. Singh had to later withdraw his comments and apologise after BJP President Amit Shah chided him. Addressing a BJP workers meeting at Rajauli in Nawada district on Thursday night, Choubey called Lalu and Nitish as “Ranga-Billa” who would not be able to stop BJP from coming to power in Bihar. Meanwhile, Congress has taken strong objection to Choubey use of foul words for its leaders. Bihar Congress President Ashok Choudhary told that use of derogatory words for Sonia and Rahul Gandhi by the BJP MP reflected “sanskar” (traditional practice) of BJP and RSS. He said by making such comments, Choubey wishes to impress Prime Minister Narendra Modi with the objective to become a minister in his cabinet.